Shameless Season 3 Episode: 3 - May I Trim Your Hedges? 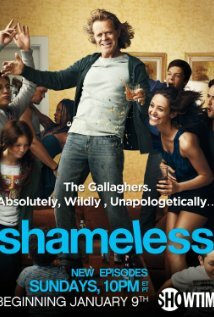 Shameless Season 5 Episode: 4 - A Night to Remem... Wait, What? Shameless Season 6 Episode: 8 - Be a Good Boy. Come for Grandma. Shameless Season 6 Episode: 12 - Familia Supra Gallegorious Omnia! Shameless Season 7 Episode: 8 - You Sold Me the Laundromat, Remember? Shameless Season 8 Episode: 1 - We Become What We ... Frank! Shameless Season 8 Episode: 2 - Where's My Meth? Shameless Season 9 Episode: 1 - Are You There Shim? It's Me, Ian.